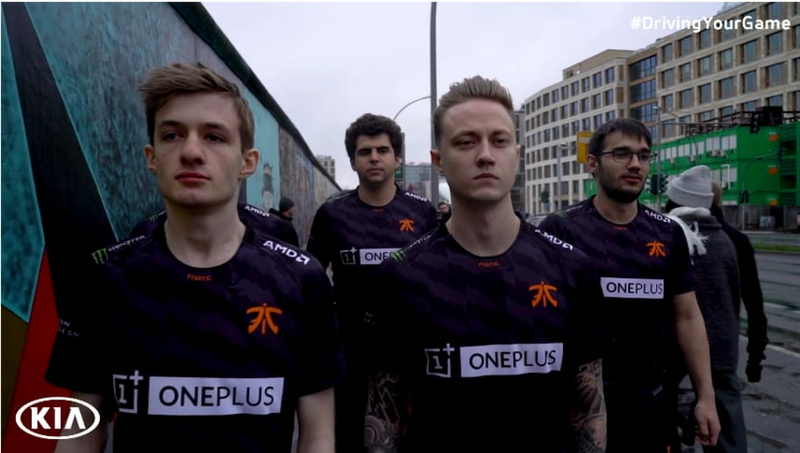 DBLTAP, in partnership with automotive company KIA, took to Berlin, home of the newly minted League of Legends European Championship (LEC) to connect with reigning champions Fnatic. Game Day: Reignited, part of DBLTAP’s content partnership with LEC main sponsor Kia Motors, follows Fnatic’s quest to maintain its spot atop the European League of Legends scene. After a successful 2018 season, capturing both EU LCS split championships and a second place finish at the League of Legends World Championship, Fnatic retooled its roster for the 2019 season. Fnatic added Slovenian up-and-coming mid laner, Tim “Nemesis” Lipovsek, to its roster replacing Rasmus “Caps” Winther. Additionally, the team said goodbye to long time tenured top laner, Paul “sOAZ” Boyer. Fnatic moved forward with Gabriel “Bwipo” Rau as its top laner for the upcoming League of Legends season. Reignited is the tale of a new Fnatic starting five hoping to repeat and improve on its performance from last year. Game Day: Reignited was created in conjunction by DBLTAP, part of the Minute Media family, and automotive company KIA. Kia signed on as the main sponsor for the LEC in 2019 seasons.